A soft green gold colour. 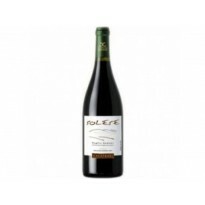 The nose is elegant and with subtle oak and aromas of peach and nectarine. The palate is very characteristic of Cattarato with strong nectarine flesh with an elegant but assertive fruit character. The finish is long and balanced with soft drying oak. 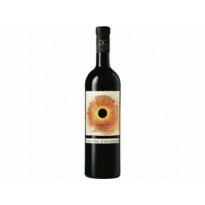 A real Sicilian variety crafted through oak to give a premium wine style. The Ginestra estate is in the Monreale DOC area and lies at altitudes of between 500 and 900 metres above sea level. A vertical trellis system is used in the vineyards, which have a density of 5,500 plants per hectare. The grapes are handpicked and then destemmed and chilled. The crushed grapes are delicately pressed, clarified and transferred to stainless steel vats, where primary fermentation takes place with selected yeasts. Halfway through the fermentation period, the must is racked to French oak barriques. After a four-month period of batonage, the barriques offering the best taste profiles are selected. The resulting blend is kept at controlled temperatures until bottling. 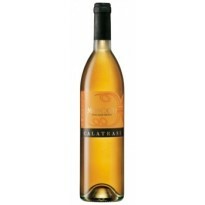 A gold colour with greenish hues, this wine has a delicate but intense bouquet of peach and nectarine. 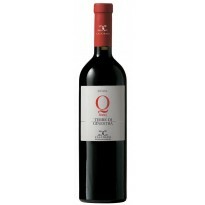 On the palate it offers the fresh, elegant fruit and bitter almond notes typical of Catarratto. Ageing in barriques gives it structure and creaminess. Excellent with fish, especially shellfish. Its character is brought to the fore by flavoursome soups, including those with pulses.